Direct quotations from books, essays, poems and research papers all have one thing in common: all of them support the argument or idea in the text where they are placed. Direct quotes should be placed in quotation marks within the text in which they reappear in order to emphasize that these quoted lines are taken from another text or source such as an essay, a research paper or a book chapter. Needless to say, the potency of direct quotations in supporting your ideas depend on whether the borrowed lines directly relate to your arguments or otherwise. Direct quotes can also serve as your introductory paragraph. In most cases, such quoted lines run from four (4) lines or more. In using four or more borrowed lines, be sure to put them in your text as a block quote. For instance, leave a margin of one (1) inch on the right, left, top and bottom spaces of your block quote, thereby separating them from the rest of the top and bottom paragraphs preceding and proceeding from them, respectively. You can also borrow phrases from other sources instead of a complete sentence or a full paragraph. In this case, you should add a few more phrases to your quoted phrase in order to make it a complete sentence with, of course, a complete thought. For example, assume that you borrowed the phrase "with the 88% increase in the number of American smokers in 2008" from a journal article. 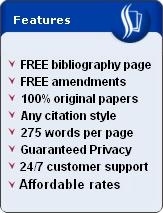 In order to incorporate the direct quote into your essay, for instance, complete the phrase and make it into a full sentence such as: "With the 88% increase in the number of American smokers in 2008," a rise in the number of patients suffering from lung ailments admitted to hospitals is likewise expected. 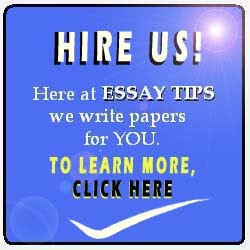 You may also want to read our article about how to quote, or how to quote in an essay.